Vitalii Gutnyk studied Law at the National Law Academy of Ukraine, followed by obtaining his Ph.D. at the National University of Lviv. He then went on to complete his post doctorate at the Vilnius University, where he wrote the article “ Right to defence in criminal cases (theory and practice of the international criminal courts).” Throughout his career, he has written and published more than 40 articles concerning international law and criminal procedure, and participated in over 15 international conferences. Furthermore, he has been the chairman of the Western Ukrainian Bar Association. With his outstanding experience, Mr. Gutnyk is a valuable addition to the JusticeMakers program of 2014. The Project: Provide quality legal representation for people with HIV/AIDS who are particularly vulnerable to human rights violations. 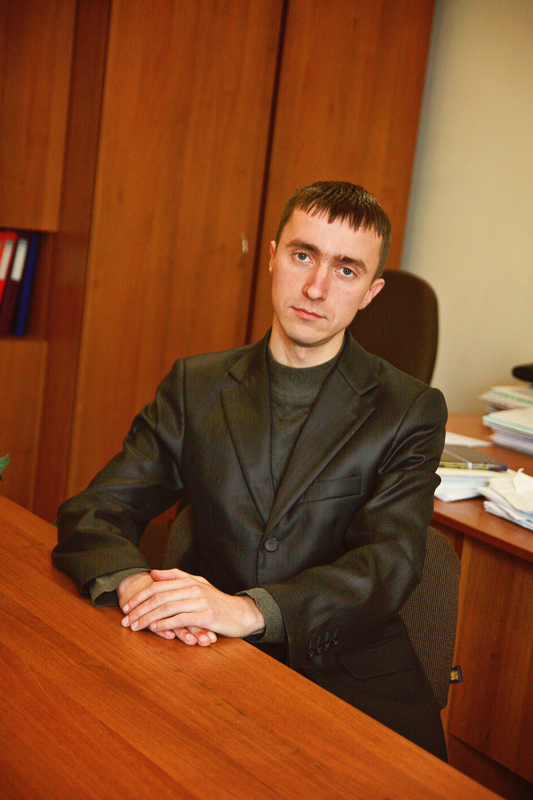 Mr. Vitalii Gutnik is working to raise awareness about legal representation in the Ukraine. Though the laws exist denial or delay of access to competent legal representation for these vulnerable individuals is caused by the ineffective implementation of these laws in the Ukrainian legal system. Lawyers are poorly compensated to provide legal assistance to the helpless and free legal aid typically does not provide highly qualified lawyers. With his JusticeMakers Grant, Vitalii held a round-table discussion in February, 2016, on the topic, “Defence of HIV/AIDS infected persons in criminal procedures”. He received media attention which he he expects will continue to raise awareness about this issue and provide much needed support for this particularly vulnerable group. Following the success of this event, Vitalii organised a conference in Ivano-Frankvisk in May, 2016. The topic of this conference was, ” The European Convention on Human Rights in Law Practice”. Vitalii continues his invaluable work in western Ukraine, bridging the gaps in the legal system and providing much needed legal aid to the poor and people with HIV/AIDS.